Violinist Sean Riley maintains a career throughout the United States, Europe and Asia as a performer, entrepreneur and educator. As a solo artist he has recently been featured in London at St. Martin-in-the-Fields and Wigmore Hall, and was given the honor to perform for Charles, the Prince of Wales at his 65th birthday celebration and the Sultan of Oman in a special evening performance at the Savoy Hotel. Sean’s recent appearances have included the Royal Albert Hall, the Victoria and Albert Museum, St. James’s, Piccadilly, and Orchestra Hall in Chicago. He has collaborated with the Philharmonia Orchestra in the series Infernal Dance: Inside the World of Bartok and has also been featured in performances at the Sala Maria Cristina (Málaga), Teatro all’Antica, and the Kosciuszko Foundation (New York). He has curated recitals at London’s National Gallery and at the Contemporary International Music Exchange in Italy. Sean's interest in innovative methods of communication has led him to unique artistic practices, including using distance technology (LOLA) for live real-time performances with soloists in far-away locations, creating performance programs with social media at the Royal College of Music, using Critical Response Process to teach communication and artistic vision at the Trinity Laban Conservatoire of Music and Dance, and collaborating with London Chef Ivan Goh to create a unique blended performance experience. These entrepreneurial practices have led him to a professorship at the Trinity Laban Conservatoire in London. A tireless advocate of contemporary music Sean has led London’s New Perspectives Ensemble, Variable Geometry Ensemble, the New Juilliard Ensemble and has also performed with the Continuum Ensemble for the Intersections Series at Harvard University, the Museum of Modern Art in New York, and at the Smithsonian Museum in Washington, D.C. He recently gave the European premiere of Nichole Lizée's violin concerto Cathedral Mountain at the Contemporary International Music Exchange. Sean is currently working with the British composers Simon Holt, Craig Armstrong, Ken Hesketh and Huw Watkins. Sean is an alumnus of the Aspen, Insbrook, Cassalmaggiore, Kneisel Hall, Great Mountains, and Astona music festivals. His teachers have included Radu Blidar, Kyung-Wha Chung, Hyo Kang, and Roland and Almita Vamos. 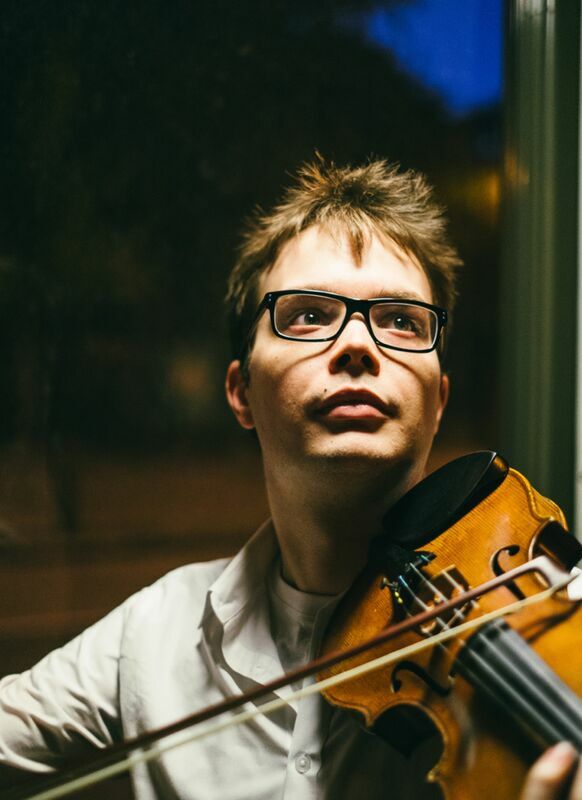 Sean holds both bachelors and masters degrees in violin performance from The Juilliard School as well as an artist diploma and Master in Philosophy on the subject of performance training and peer communication in higher music education from the Royal College of Music, London. Sean the recipient of the Williamson Foundation of Music annual grant, Rayne Foundation grant, Donald Paterson Award and the Worshipful Company of Musicians Silver Medal. David Brubaker, who has been a member of the Pacific, Oregon and Houston Symphony Orchestras, joined the Minnesota Orchestra’s second violin section in 2003 and moved to the first violin section in summer 2008. He served as acting first associate concertmaster during the 2014 season. Brubaker has appeared on numerous Minnesota Orchestra chamber music programs, most recently playing Brahms' Trio for Horn, Violin and Piano at the 2014 Sommerfest. Brubaker is a native of Tucson, Arizona, where both his parents were music teachers and members of the Tucson Symphony. In addition to studying violin, he played oboe while growing up; he also sang as a member of the Tucson Boys Chorus, with which he toured the U.S. He earned degrees in violin performance from the Manhattan School of Music and Rice University’s Shepherd School of Music. Brubaker’s three siblings are also professional musicians, performing with the Chicago, Houston and Tucson Symphony Orchestras. Thomas Elliott began studies on the violin at the age of six, continuing as a violinist into university where he was a student of Josef Gingold. Changing to viola, he joined the Houston Symphony at the age of 19, finishing his tenure as associate principal in 2003. He has also performed and toured extensively with the San Francisco Symphony and played three seasons with the San Francisco Opera Orchestra during the era of the Three Tenors. His first love as a performing musician is chamber music. Lauded for her "pianistic brilliance" Amy Zanrosso, a powerful and dynamic musician, has worked within a wide range of musical genres - classical, contemporary, musical theatre, German cabaret and tango. Originally from British Columbia, Canada, Amy completed her Bachelor's Degree at the University of Victoria with Bruce Vogt. She furthered her studies in Italy, working with Maria Tipo and Michele Campanella and then returned to Canada to complete a Master's Degree at McGill University in Montréal during which she studied with Dorothy Morton and Louis-Phillipe Pelletier. Much in demand as a collaborator, Amy has shared the stage with principal members of the Montréal Symphony Orchestra, St. Petersburg Orchestra, Houston Symphony, Orquestra Filarmônica de Minas Gerais, Minnesota Orchestra, San Francisco Symphony, San Francisco Opera and the San Francisco Ballet. In her years in Montréal she specialized in repertoire for cello and piano and was invited to play for numerous masterclasses led by internationally acclaimed pedagogues and performers such as Philippe Muller, Pieter Wispelwey, Matt Haimovitz, Peter Wiley and Paul Katz. In Fall of 2015, Amy worked with Gustavo Dudamel as the pianist for chorus rehearsals of Beethoven’s 9th Symphony and went on tour to China with the Grammy award winning Pacific Boychoir. She has also appeared as soloist with the Symphony of the Kootenays and the Russian Chamber Orchestra. Amy is currently based in Oakland and is a faculty member at the Pre-College of the San Francisco Conservatory of Music coaching chamber music and piano ensembles. As well as freelancing in the Bay Area, she is part of four local ensembles - The iO Piano Quartet, RossoRose Duo, Tangonero, and the Mana Trio. She is steadily realizing her plan of learning and performing all existing piano chamber music and when not practicing Beethoven or Brahms, Amy can be found hanging out with her husband and dog or riding her bike to rehearsals.